So you need to rent a bus? 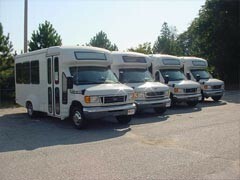 Patsy’s Bus Sales is pleased to announce that we now offer Full Service Commercial Bus Rentals! 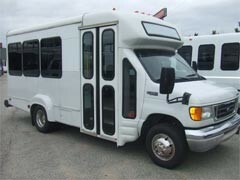 Available to summer camps, outdoor adventure programs or anyone with seasonal needs for passenger transportation, our fleet comes fully equipped with seating ranging from 8-14 passenger and wheelchair accessibility is also available. In these difficult economic times, let Patsy’s Bus Sales find the best solution for you and put you in the driver’s seat of one of our state-of-the-art transportation vehicles. FILL OUT THE FORM BELOW AND LET US FIND THE BUS FOR YOU! 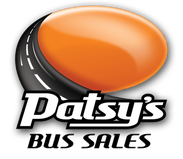 Patsy’s Bus Sales, upon confirmation of reservation, requires a reservation deposit and signed rental agreement. Minimum reservation required of 1 month, maximum of 3 months. Contact us for rates on custom rental periods. Must be 21 years of age. Prices quoted include regular scheduled maintenance and a mileage allowance of 1,200 miles a month. Complete details available in our Rental Agreement.